Nicolas Fox is an international con man, famous for running elaborate scams on very rich and powerful people. He knows that the FBI has been hot on his trail for years—particularly FBI Special Agent Kate O’Hare. But just when it seems that Fox has been captured for good, he pulls off his greatest con of all: He convinces the FBI to offer him a job, working side by side with O’Hare. Their first assignment takes them to the side streets of Berlin, the California desert, and remote Indonesian islands as they team up to catch Derek Griffin, a corrupt investment banker charged with stealing millions from his clients. Finding Griffin on his private island is going to test O’Hare’s patience and Fox’s skill. High-speed chases, pirates, and Toblerone bars are all in a day’s work . . . if O’Hare and Fox don’t kill each other first. This is my second Janet Evanovich book and I must say that I was much happier with this one than the first that I read by her. As for Lee Goldberg I love the series Monk so I figured I couldn't go wrong with him co-writing. 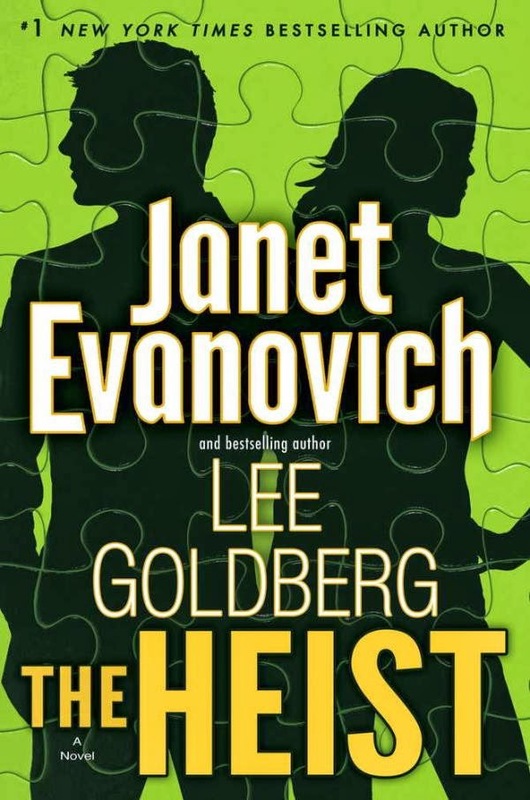 I chose The Heist based on the fact that I'm a sucker for a good con and a coworker recommended it. I was not disappointed. This book had me laughing from the get go and only let up long enough to allow me to fall for Nick and grow to like Kate enough to cheer her on. Kate O’Hare is an ex-Navy SEAL turned FBI agent. She’s tougher than most men and eat just as much as them as well. She's take charge, but still somehow always manages to get food on her shirt. She's made it her mission to catch Nicolas Fox. Nick is a natural con man and the harder the con, the more enjoyment he gets out of it. When he's finally caught by Kate he manages to talk (or should I say con?) his way into working for the FBI instead of going to jail. He is teamed up with Kate and the two are sent off to catch the elusive Derek Griffin. The story is an lighthearted read and doesn't take too long to get through, but is still highly enjoyable. The con/heist isn't laid out in a 'wow I never would have figured that out' kind of way but explained as the book and characters pull it off and plan it. Though there were still plenty of clever moments that made me smile, especially during the first half of the book while Nick was pulling off a pretty funny heist. The characters are funny and varied as Nick and Kate build their crew. The two most notable (and loveable) were the flamboyant actor Boyd Capwell and adrenaline junky Wilma Owens aka Willie. Boyd's acting had me in fits of laughter while Willie is just crazy enough to make you fall in love with her. Kate's father was by far my favorite additional character. After all, who won't love a dad who can kill a man 16 different ways with a pair of tweezers and who's idea of a care package includes very explosive toys. I really hope to see more of them in later books. The story is fast paced and never gets very confusing. It is fairly simple and not too complicated, but a book as fun as this really doesn't need to be. The story has fun twists and turns while throwing the characters in crazy situations and pulling them out in ways just as insane. I listened to this as an Audio book and really enjoyed Scott Brick's reading. His voice was pleasant and he pulled off a variety of different voices well, though he was not as varied as I've heard other people read. I was able to keep up with the story well and didn't get lost while listening. Over all this is a great fun read. If you need a quick easy laugh or if you enjoy a good heist pick up this book.